Get on board with the style of the moment! 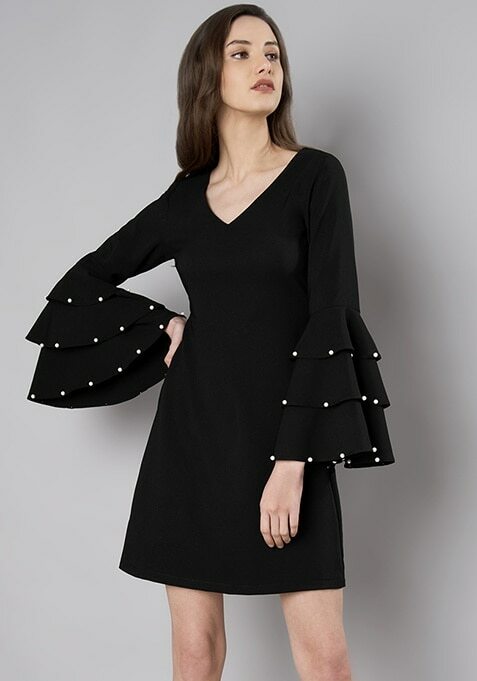 This black dress is THE hero piece you need in your wardrobe this season. Features pearl embellishment and layered bell sleeves.